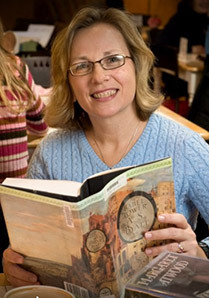 Lisa has been teaching since completing her master's degree in English in 1991, both at the high school and college levels. She currently specializes in college admissions support, from preparation for standardized tests to creating a list and completing the applications; she brings her training in positive psychology to the process, focusing on making junior and senior year of high school a rewarding journey. She holds degrees from Harvard and Bryn Mawr Colleges, and studied with Martin Seligman, founder of Positive Psychology. She is currently engaged in a research project with University of North Carolina faculty member Barbara Fredrickson, PhD., concerning the effects of mindfulness on test anxiety. Lisa has also published widely and authors a blog on the college admissions process.